For a Wholesale Lender or Wholesale Banker, top performance should be the number one objective. Success is always achieved through disciplined fine-tuning combined with experience. If you want to reduce your cost per loan and provide your customers with a value-added experience, you must fine tune your operations. Most of the time, lack of the proper qualifying factors can be easily identified in the beginning stages using a quick pre-underwriting process. Early detection of unqualified criteria will prevent wastage of precious resources by removing loan submissions that have no chance of funding from the loan pipeline. Pre-underwriting will thereby increase pull through and lower the average cost per loan for your loan fulfillment center. A thorough review of the file will involve the verification of all information listed on the 1003 loan application including obtaining any additional documents if required. Borrower will be prequalified based on the applicant's credit report including analysis of FICO scores, judgments, bankruptcy, foreclosure, divorce and other pertinent indicators which reflect the current overall financial condition of all borrowers. The borrower's credit profile will be evaluated as per the lenders strict compliance standards. The loan request will be checked for conformance with appropriate lender guidelines such as maximum LTV, DTI or cash-out restrictions, etc. Validate that the correct file submission data has been entered into the system and then run the appropriate automated underwriting system and review the findings and results. 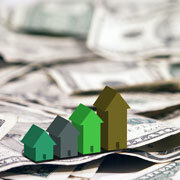 Insure that the loan meets all Fannie Mae, Freddie Mac, or government loan guidelines as well as all investor overlays. Review file for any inconsistencies, review title report exceptions, and credit report public records. Run any third-party reports suggested by the lender. Order appraisal report in accordance with lenders instructions. Review property appraisal to determine whether the property represents adequate collateral for the requested loan. Log appraisal per FHA requirements, if required. Order the required verifications. Evaluate and verify that the borrower(s) possess the required assets and employment history through review of the borrower supplied paystubs, tax returns, W2's, VODs, Asset Statements, VOEs, etc. Pre-underwriting is a great way to lower your wholesale lending centers average cost per loan. The increased pull through will not only increase your bottom line but also free up your underwriting staff allowing your underwriters to spend their time underwriting successful loans which actually fund thereby increasing loan production and having a positive impact on the overall moral throughout your entire loan fulfillment center. Should Wholesale Mortgage Lenders Consider Pre-Underwriting To Boost Their Bottom Line? Which of the prevailing options will enhance your company's performance and boost your bottom line? Which of these options is worthy of your time and effort? Which is most likely to reduce cost while improving service? Which will help your wholesale lending operation to stay sharp and agile? One option worthy of a closer look is PRE-UNDERWRITING YOUR LOANS. It's common for wholesale lenders to fund just 2 out of every 3 loans submitted for approval. Some wholesale lenders average even worse, with their pull through ratios sometimes dropping below 50%. Imagine if Ford or Mercedes shipped every 3rd automobile they produced to the junk yard or if Apple tossed every other Mac or iPhone in the trash, how could they compete? Similarly, a wholesale lender can't compete with low pull through. The primary cause for a loan not making it to closing is rooted in the lack of proper qualification by either the borrower or the property and type of loan applied for it. Outsource2india has an established pre-underwriting and underwriting process, and has employed experienced pre-underwriters who have been working with Wholesale Lenders for over 5 years. Share your pre-underwriting requirements with us and we will be glad to assist you with hassle-free solutions.